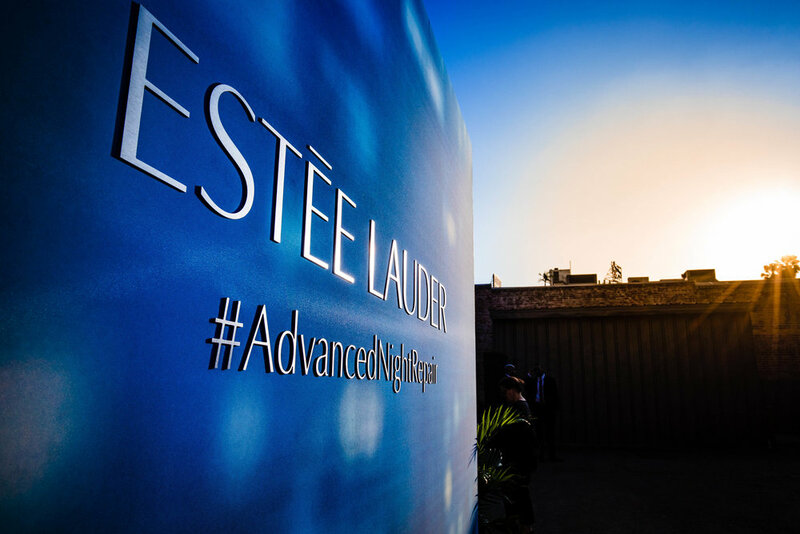 Estée Lauder Companies approached BMF looking for a highly engaging way to communicate the product benefits of its newest eye cream launch, Estée Lauder Advanced Night Repair Eye Supercharged Complex. An immersive two day activation in Los Angeles was designed and produced by BMF, inviting media, influencers, and consumers to discover the products universe while inspiring social sharing and media buzz. BMF conceptualized and produced “Own The Night,” an immersive activation that opened with a museum-like retrospective entrance tunnel highlighting the milestones of Advanced Night Repair’s scientific innovation. The tunnel enveloped guests in a dramatic night to day transition that contextualized the product’s blue light protection. In the main space, the AM / PM application processes of the cream, and the extended dawns, dusks and twilights associated with the summer solstice of the launch period, were evoked through lighting and environmental design. A custom built Detox Lounge (where guests could relax and recharge under a night time sky of star-filled constellations) and a blue light bedroom photo vignette highlighting product benefits, served as anchoring focal points to the activation. A highly curated guest list was invited, including DJ and TV personality James Kennedy, on-brand bloggers, influencers and content creators, all driving additional buzz surrounding the launch.